Home sports Italy Misses World Cup for the First Time Since 1958, Buffon Retires. Italy Misses World Cup for the First Time Since 1958, Buffon Retires. Four-time champions Italy has failed to qualify for the World Cup for the first time since 1958 after a play-off defeat against Sweden. The defeat means Italy will miss the World Cup for just the second time in their history after declining to participate at the Inaugural tournament in 1930 . 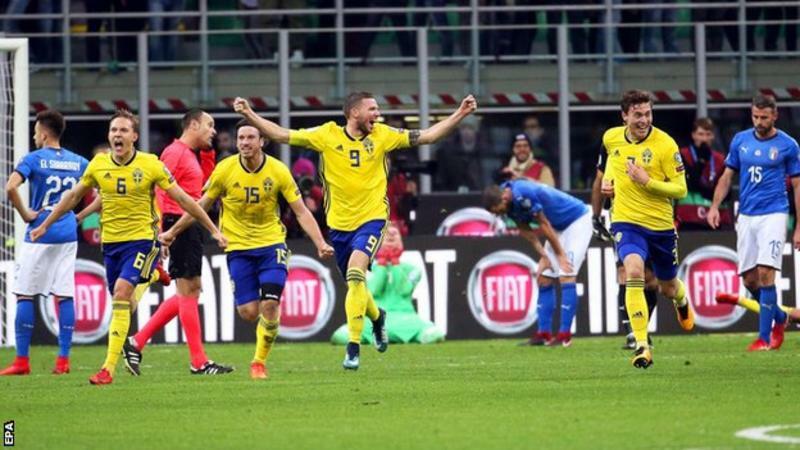 Sweden sat back after taking a surprise commanding lead in the reverse fixture in which Italy lost by a goal. 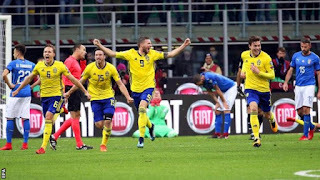 Striker Ciro Immobile missed a number of chances for the hosts as they struggle to get behind the Swedes defense and it took a magnificent save from defender Andreas Granqvist to clear the ball of the line in the first half to keep the Italians out. The result means Sweden qualifies for the world Cup for the first time since 2006 where they lost to Germany in the knockout stage. Legendary shot-stopper Gianluigi Buffon also call it quits on his International career having made over 175 appearance for the Azzuris in over 2 decades. He remains Italian Football all time most capped player. World Cup winner Buffon, who was also tearful at the final whistle, said: "I am not sorry for myself but all of Italian football. We failed at something which also means something on a social level."